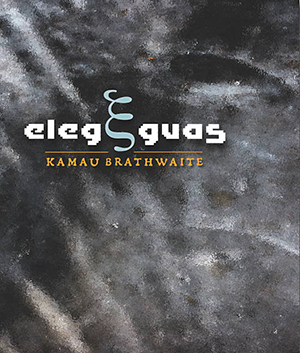 Elegguas, by Kamau Brathwaite, The Driftless Series and Wesleyan University Press, Middletown, Connecticut, 2010, 136 pages, $22.95 cloth, also available as a Kindle Edition. from the entrail entrance of the knife . 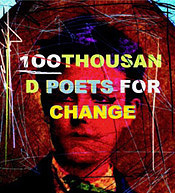 Elegguas is structured in ten parts with from one to six poems in each part. The book opens with a poem addressed to Zea Mexican, the name Brathwaite gave his first wife, Doris, whom he met and married when he served as education officer in Ghana in the late 1950s. Name-giving rituals were the baptisms of the new postcolonial 'religion' of the 1960s in a tradition dating back at least to Abraham. Born in 1930 Lawson Edward Brathwaite in Barbados, the poet himself became Kamau after traveling to Kenya, where the grandmother of the novelist and playwright Ngugi wa Thiong'o gave him his new name. "Letter to Zea Mexican," one of three Zea letters in this collection, reaches back to 1986 when Doris, who became a significant presence in West Indian culture in her own right and an inspiration to her husband's poetry, lay dying of cancer. The letter begins "Tomorrow afternoon I'll see yr face < / for the last time—see you for the lass / lass time I really cyaaan imagine th- / at yu know." The three Zea letters of this new book originally appeared in The Zea Mexican Diary, published by Wisconsin University Press in 1993. The letters are printed in a narrow band in the center of the page, with very wide margins. Opening Brathwaite's new book, one first notices an unusual boldface font, at times enlarged to 30 or 40 point size for emphasis, a font sometimes used in Brathwaite's earlier books, another expressive strategy for distinguishing the lively, vigorous nationalist from staid, imperialist ways. By the third Zea letter, "The Crossing," some kind of resolution appears to be reached, as the poet returns to his wife's grave and finds her "in that / soft distance shining," (page 123). As befits a book of elegies, this one is full of family and friends, as well as jazz singers, musicians, and freedom fighters. Brathwaite's intense musicality is everywhere in evidence. In "Circle(s)" music "curls like your hair around its alabama root . ripples / like fishwater" and finally "dynamites itself in chalky quarries // of deep bone . bringin our riddim home…it is that reggae reggae riddim that Xplodes the prison burns the clock" (page 13). It's hardly surprising the poet devotes a long poem sequence to Duke Ellington, playing "every Tricky Nantam book in town / black black Black Bottom Stomp" with his "alligator hands" (pages 23-24). The sequence includes tributes to the popular blues singer of the 1920s and '30s, Bessie Smith, who under Brathwaite's pen becomes the empress, not of blues, but of "our shattered blues" (page 18). Another poem in the sequence evokes the "Voice of Ellington," Ivie Anderson, whom Brathwaite calls Andersonnng. 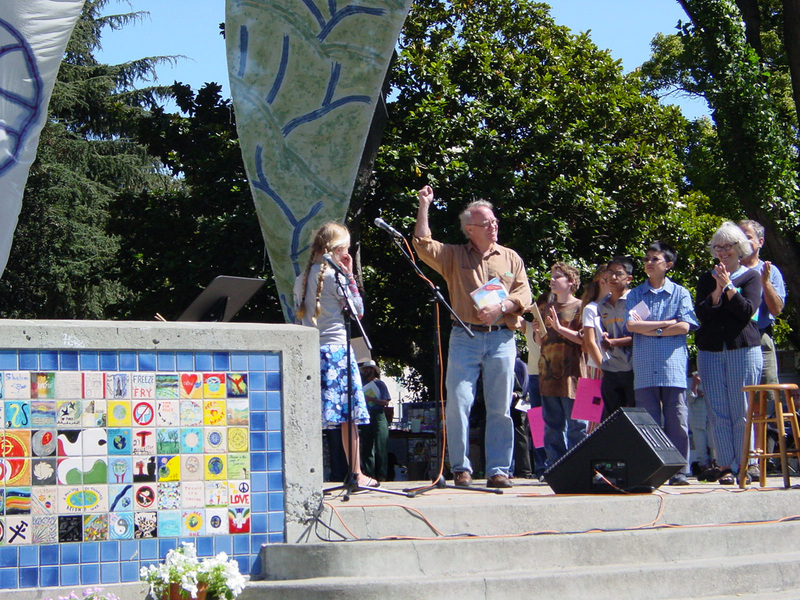 Sonny Greer, Ellington's drummer for many years, "come walk / ing down the sidewalk clickin sticks" (page 21), and clarinetist and composer Jimmy Hamilton makes an appearance "leading us out of the silence" (page 20). Ellington, Smith, Anderson, Greer, Hamilton—all live on through their albums and music. But for Brathwaite, they live on in him, as well: "mixed with my sand and mortar / they walk in me with the world" and "the dead dust shines with us / in the completed silence" (page 27, "mesongs"). Echoing Whitman's "Song of Myself" in the "mesongs," Brathwaite also evokes Yeats's "Among Schoolchildren," a poem he surely knows, when he writes, "The dancer dance to death / but we only know the dancing." "mesongs" is a 29-part poem for the dead, and for Brathwaite's musings on death's meaning, where the poet eulogizes even his dog, not named, and thrown overboard in a sack "in the green jumping water." Daffodils mark the death of his friend Elizabeth Schepky: they "create their yellow sky / their green plantations in the water there" (page 29). In the art of daffodils is the art of death. In counterpoint to the intense, mournful lyrics of lost love of the Zea letters, other poems express a passion whose objects are very much alive, as in Parts 8 and 9. Addressing a woman in adoring terms, Part 8, called "fflute(s)" defines the, to me, curious word "fflute" as "the gurgle pigeon dream the ground dove coo / it is the sun approaching midday listening its splendour / it is your voice alight with echo // w/the birth of sound" (page 110). Part 9, another love poem, this one untitled, whose meaning eludes me, begins: "the writing of the sea shd not result / in its escarpment / she said / mmveene allu tuka xtbox . alongongono." Most powerfully, a poem called "Cherries" opens Section Five, beginning with something very like a verse from Proverbs 31 about the good wife, and ending with lines echoing Taming of the Shrew on the fury of the scorned woman. the needle will grow rusty in the cloth . The woman of such a household will poison her fetus and carry the convulsing fetus to the man's doorstep: "these images of love i leave you / now i no longer need you // man . manwaart . manimal (page 59). i cdn't get it up i cdnt get it in . Brathwaite is a poet who lives in his language, mind, imagination, and music. Readers unfamiliar with the Caribbean world—a euphemism for "White," perhaps—will have difficulties understanding some of the patois of Brathwaite's text. Perhaps Brathwaite's understandably staunch nationalist politics lead him to omit the endnotes that would clarify his meaning and open the texts to understanding by those (like myself) whose ancestors may unfortunately have participated in oppressing his. For the most part, Brathwaite's powerful themes of passion, lost love, guilt, oppression, betrayal, and national pride—all the themes of the great texts of Western literature—carry his meaning, particularly in the poems of political struggle; in the historical poems of his people's leaders; in "Cherries," the poem of a woman's passion; and in "Tell me how close," the poem of a man's loss of vitality. I was sorry to find that, in a few places in other poems, I could not follow Brathwaite's meaning. But there can be no doubt that Brathwaite, the author of dozens of books and the deserved recipient of numerous awards, including the Griffin Poetry Prize in 2006 for Born to Slow Horses, is a major voice of the Caribbean, and a powerful voice in world literature, one that speaks to all who struggle for freedom and self-determination.